The Mississippi River meets the Gulf of Mexico. 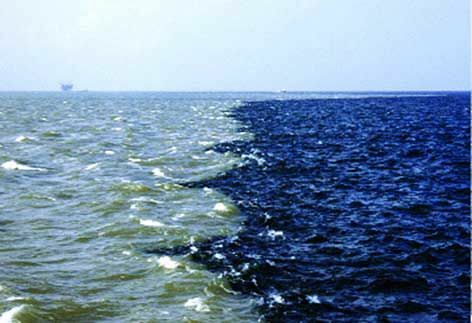 The two bodies of water never mix with each other; allowing the Gulf of Mexico to retain its clear, blue color. Simply amazing!